Cocktails Packs for as low as P1,499! Note: For food delivery: Deliverable areas by Honestbee vary, as well as delivery time depending on many factors such as traffic conditions, weather conditions and item availability; For table reservations: restaurant areas are only available in Metro Manila as of the moment. Prepare your taste buds for the Philippine Food Month! If you are an avid food lover, here is something to look forward too! This April marks the annual Philippine Food Month for the third year running! Regardless of where you are located at, expect a plethora of the best cuisines from the various islands across Philippines. Running for the entire month of April, you absolutely have to prepare your appetite for a gastronomic food trip! Skip the massive crowds and Order Online! With the numerous mouthwatering cuisines that will be served, it will definitely draw crowds from near and far. And the last thing you want is to be waiting for a seemingly long time before you can indulge in your meal. Instead, skip in the crowds and long queuing times by using a food delivery service! On top of that, you might be able to score incredible food delivery deals to enjoy great savings. Frustrated that you are always put on hold while placing your food online through a phone call? Save that trouble by simply using an online food delivery instead! In addition to the convenience, an online food delivery means you have the option to check out their online sites for exclusive food delivery offers and food delivery promotions. Having your favourite food delivered to your doorstep is no doubt gratifying. But enjoying incredible food delivery promos in addition to that convenience definitely top that gratification! Not sure which restaurants have food for delivery? Simply search “delivery food near me” to expand your options! Food delivery sites offer delivery for several restaurants and eateries. Wondering if they have your favourite restaurant on the list? Just do a quick search on Google for “delivery food near me” and there will bound to be many places that offer food delivery! Solve your “Is there a food delivery near me?” woes with these food delivery merchants from ShopBack Philippines! Not sure if there is a food delivery near you? Why not check out these food delivery merchants on ShopBack Philippines! Choose from food delivery merchants the likes of Honestbee, Foodpanda, Walgreens and even Jollibee on foodpanda. Furthermore, you can make use of exclusive food delivery vouchers and food delivery codes to earn great savings when you order! Have your favourite fast food delivered to your doorstep! All of us have those days whereby we simply crave to tuck into some tantalising fast food. However, the nearest food delivery might be either too far or packed with people having the very same fast food cravings. Fret not, there is always fast food delivery options as well! Have your favourite fast food delivered right to your doorstep without even stepping out of the house! Furthermore, make use of the several food delivery discount codes from ShopBack Philippines to save more on your food order! For instance if you already have your mind set on ordering Jollibee, simply use the Jollibee on Foodpanda voucher code available on ShopBack Philippines to earn cashback on your food order. Convenience and cashback - there is no better combination than that! Determined to stick to with your #eatclean resolutions? There is an extensive array of healthy food delivery options as well! With the likes of Walgreens, you can order healthy nuts, cereal and satisfy your caffeine fix with a variety of Starbucks coffee blend as well. Likewise, do not forget the opportunity to earn cashback while you are at it. ShopBack Philippines even offer exclusive Walgreen voucher codes as well as other healthy food delivery codes for you to maximise your money spent! Unable to decide where to order from? 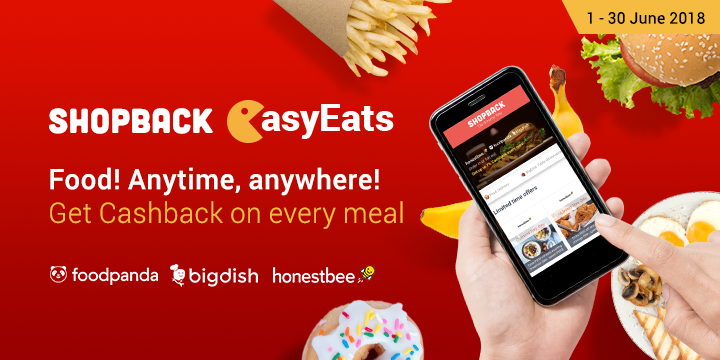 If you simply cannot decide where to order from or intending to order from various restaurants, check out other food delivery merchants such as Honestbee! This particular food delivery merchant partners with several restaurants, fast food joints and cafes so that you can easily have your much-craved food delivered to you quickly! Such merchant is ideal when you are planning to host a large party or have some unplanned guests over. All it takes a few quick searches on their website and a few clicks of your mouse and your food will be delivered in no time! Of course, do not forget to use exclusive Honesbee promo codes available on ShopBack Philippines while you are at it as well. If you were to order that much food delivery, the cashback that you earn will be even bigger too! Enjoy exclusive discounts when you order your food for delivery via ShopBack Philippines! Making use of food delivery options to have your favourite food delivered right to your doorstep is indisputably satisfying. Take that satisfaction up a notch by making use of the numerous food delivery coupons and food delivery promo codes to earn cashback! All you need to do is to click on the food delivery merchant you intend to order from via the ShopBack Philippines website. Additionally, ensure that you complete your food order transaction within the same window. Thereafter, you should be able to see the cashback amount within your account! Yes, it is that simple! Food & Grocery delivery has never been so easy with ShopBack! We could not agree more! The convenience and the cashbacks earned simply by using food delivery vouchers and food delivery discount codes - food delivery is definitely much more exciting and simple with ShopBack.ph. There is absolutely no time to waste! Time to gather all your food-loving group of family and friends. 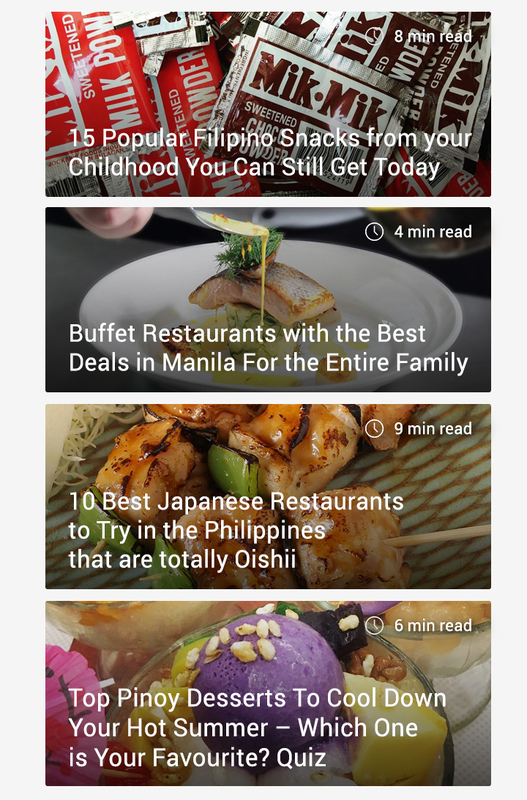 With the Philippine Food Month already starting this April, beat the crazy crowd and snaking long queues with these food delivery merchants on ShopBack Philippines today!